Price does NOT include delivery, call 9583 3944, for delivery cost. Special purchase, Durabuilt EasyShed with Double doors. 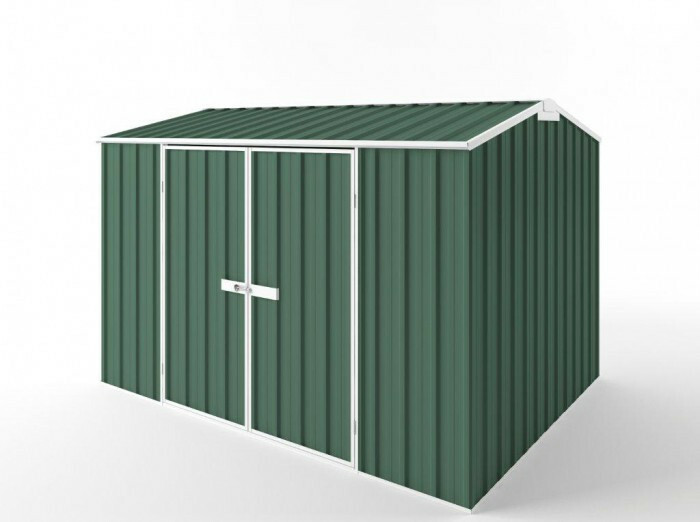 Brand new Colorbond shed, 3.00m x 2.25m x 2.05m. This Special available in one colour only, Rivergum Green. 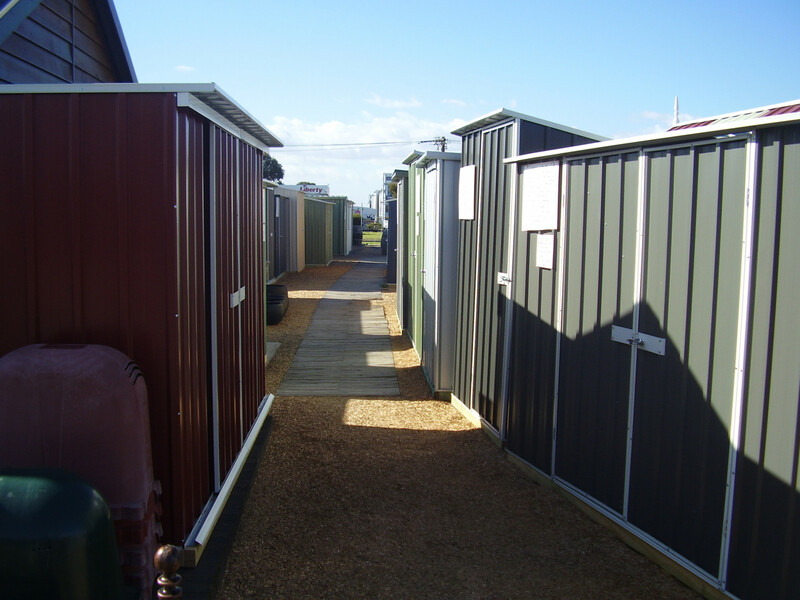 These sheds are an Australian made boxed shed in kit form. On Special for a limited time, while stocks last. 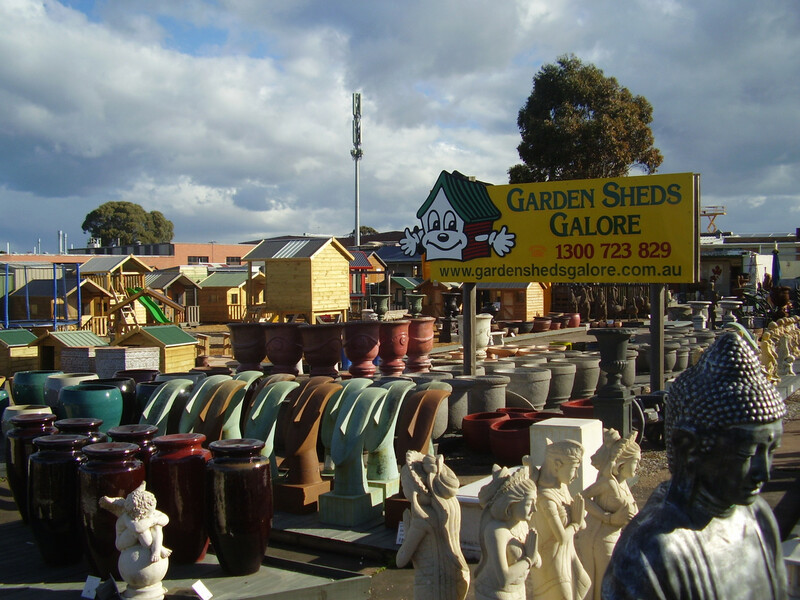 Don't miss out, order your shed now, 9583 3944. Available for pick up only from our store in Cheltenham. Local Melb. Metro delivery is available POA. Shed comes in 2 boxes, 1 box approx. 210 x 85 x 7cm, and weighs approx 60kg, and 1 box 300 x 15 x 7cm approx. 15kg. Price does NOT include delivery, call 9583 3944, for delivery cost. Special purchase, Durabuilt EasyShed with Double doors. Brand new Colorbond shed, 3.00m x 2.25m x 2.05m. This Special available in one colour only, Rivergum Green. 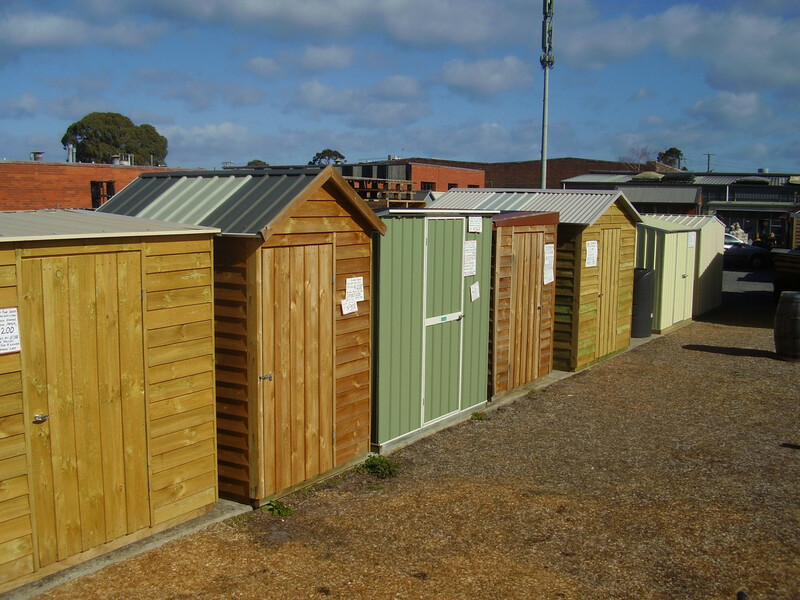 These sheds are an Australian made boxed shed in kit form. On Special for a limited time, while stocks last. Don't miss out, order your shed now, 9583 3944. Available for pick up only from our store in Cheltenham. Local Melb. Metro delivery is available POA. Shed comes in 2 boxes, 1 box approx. 210 x 85 x 7cm, and weighs approx 60kg, and 1 box 300 x 15 x 7cm approx. 15kg. Pictures for illustration only.